Paragliding is gotta be one of the coolest sports that is closest to flying. You can enjoy freedom while surfing in the sky like a bird. Given the right seasons, timing, conditions (and potentially heaps of other factors), there 8 locations in Hong Kong where you can enjoy the fun of paragliding. Dragon's Back is a popular paragliding site in Hong Kong. Para-gliders can enjoy the scenic view of Shek O Beach, golf course and the luxury real estate in Shek O. Since there are no direct vehicle access (ie. no road suitable for vehicles) to all paragliding sites in Hong Kong, before one can fly, one must carry the equipment uphill by feet! It's an all time favorite board game! It's Monopoly! Since its debut in 1935, Monopoly has been translated into 47 languages, over 1000 versions and sold in over 110 countries. One of these many version is Traditional Chinese sold in Hong Kong. 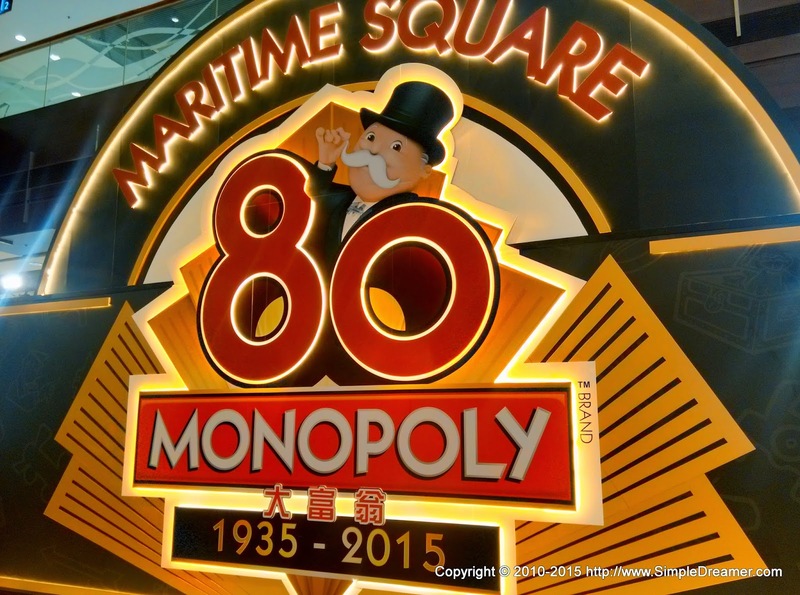 That's probably why Maritime Square on Tsing Yi Island has brought a life-size Monopoly board to its atrium!